A superb semi detached three/four bedroom dormer bungalow offering deceptively spacious living accommodation and a beautiful large rear garden. 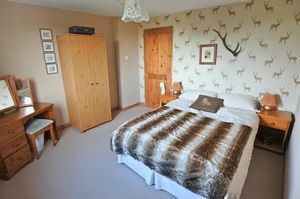 2 Hill Head is situated in the sought after village of Scotby, convenient for a wealth of village amenities and transport links and being just a 5 minute drive into Carlisle. The property is ideal for a variety of purchasers. 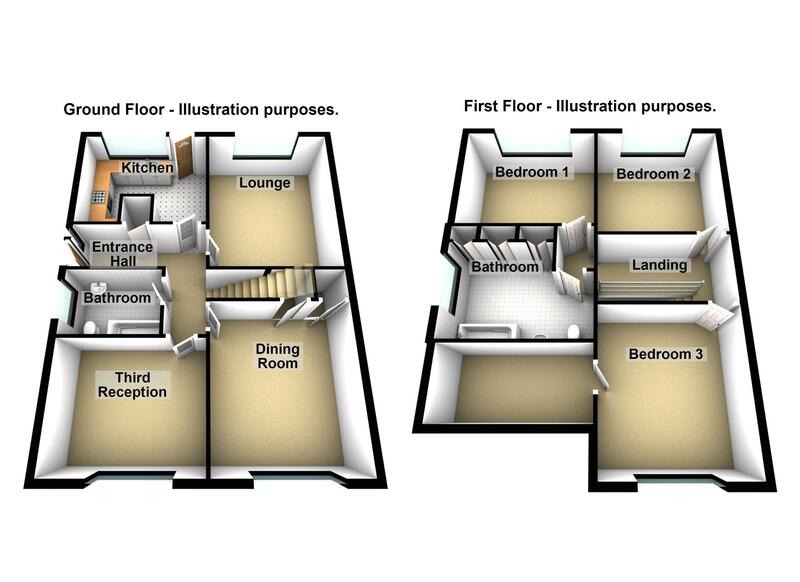 Accommodation comprises Entrance into Hallway, Lounge, Dining Room, Third Reception/Fourth Bedroom, Kitchen and Ground Floor Bathroom. 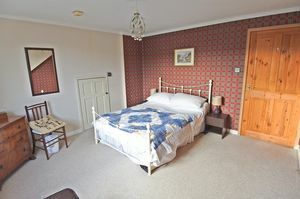 To the first floor there are Three Good Sized Double Bedrooms and a Second Bathroom. The property benefits from gas central heating and uPVC double glazing. 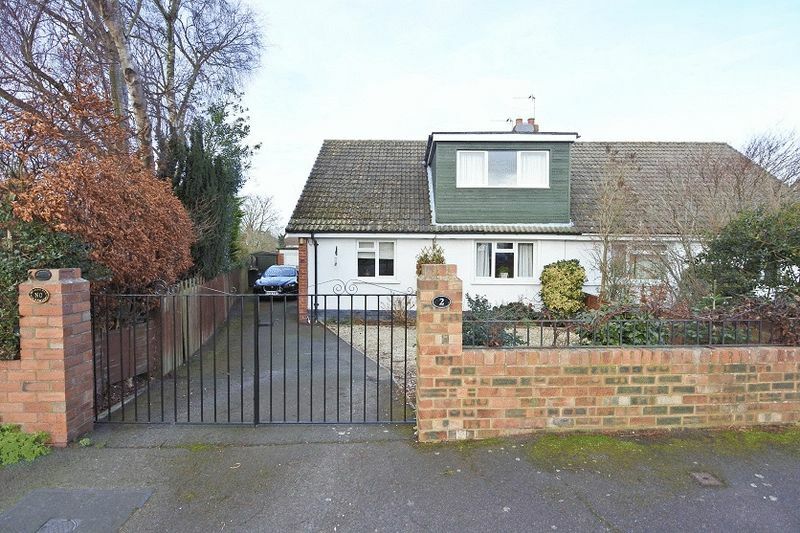 Externally there is a large driveway providing ample off street parking, single detached garage, low maintenance front garden and a large landscaped rear garden. Internal viewing is highly recommended. 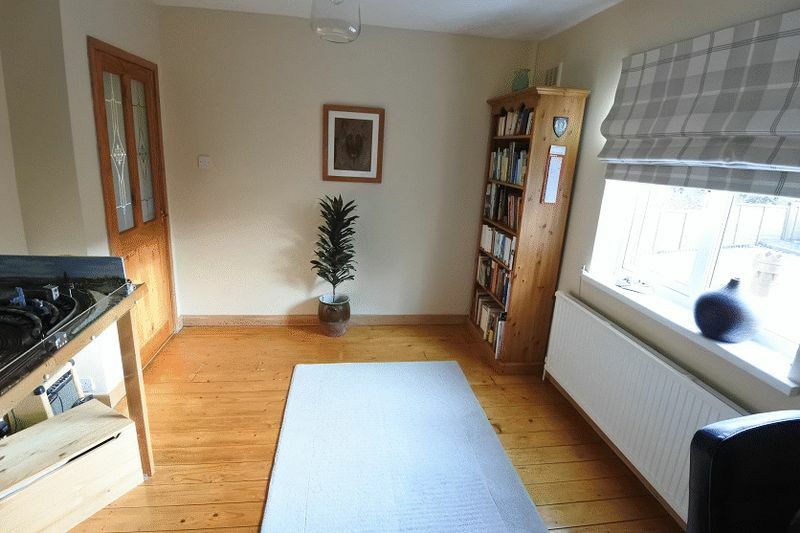 Varnished wooden flooring, thermostat for central heating, stairs to first floor, built in cloaks cupboard, single panelled radiator, doors leading through to lounge, dining room, third reception/home office/fourth bedroom, kitchen and bathroom. 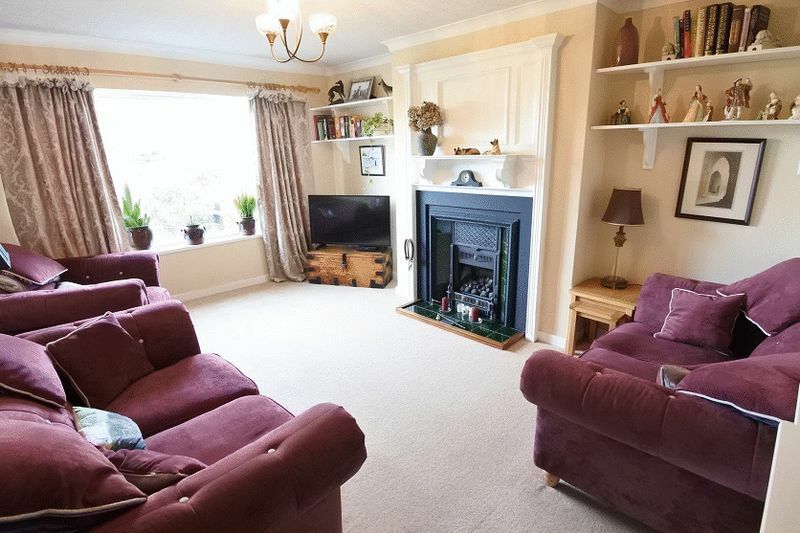 15' 11'' x 11' 7'' (4.85m x 3.53m) Nicely presented, good sized lounge with a living flame coal effect gas fire with tiled inset, hearth and cast iron feature surround, decorative coving, T.V. 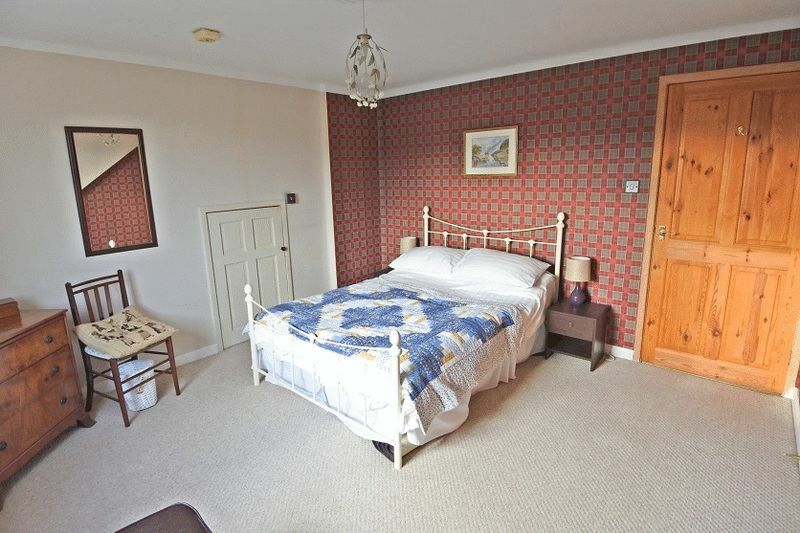 point, radiator, large uPVC double glazed window to the rear of the property overlooking the private garden. 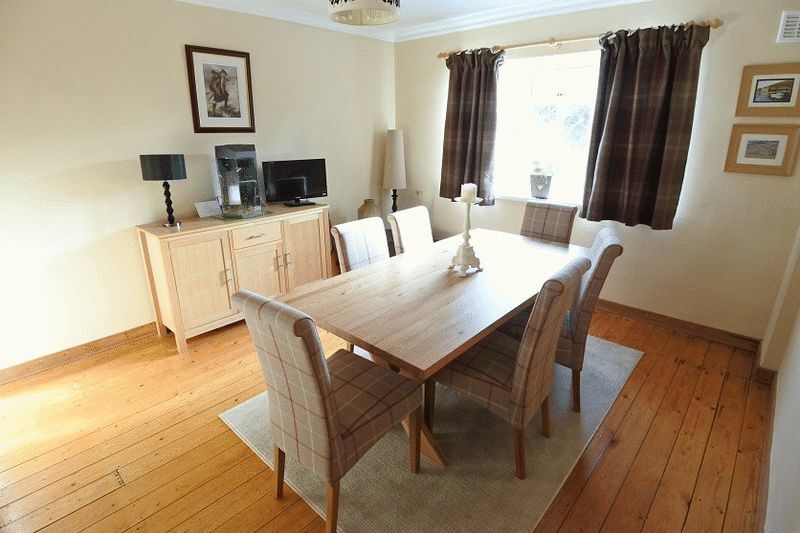 13' 0'' x 11' 10'' (3.96m x 3.60m) Good sized dining room, varnished wooden flooring, decorative coving, large built in cupboard, further understairs cupboard housing the immersion heater, T.V. point, double panelled radiator, uPVC double glazed window to the front of the property. 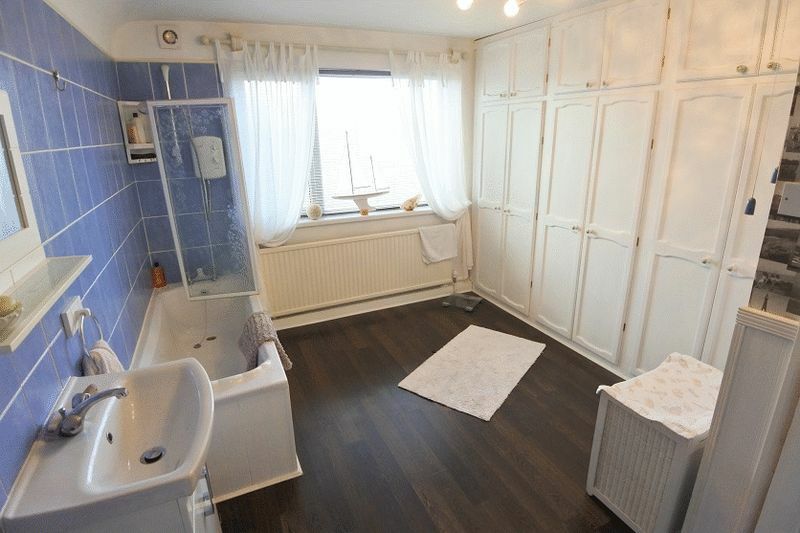 12' 3'' x 10' 10'' (3.73m x 3.30m) Good sized room, varnished wooden flooring, telephone point, double panelled radiator, uPVC window to the front of the property. 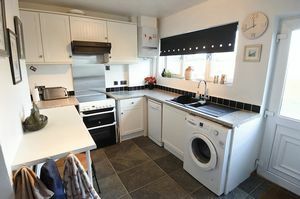 12' 2'' x 10' 6'' (3.71m x 3.20m) A modern fitted kitchen with a range of base and wall units, complementary worktop surface, one and a half bowl Franke sink and drainer with a mixer tap above, space for cooker with electric point, stainless steel splashback, extractor hood above, plumbing for an automatic washing machine and dishwasher, space for a tumble dryer, breakfast bar, Vaillant condensor boiler (installed May 2018), tiled effect laminate wooden flooring, uPVC door leading outside to the rear garden, uPVC window to the rear of the property. 9' 2'' x 5' 6'' (2.79m x 1.68m) Three piece white bathroom suite, Mira Excel shower over the bath, WC, wash hand basin, part tiled walls, sunken spotlights to the ceiling, radiator, extractor fan, frosted uPVC window to the side of the property. 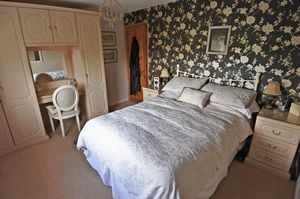 Access to the loft, access to three double bedrooms and a second bathroom. 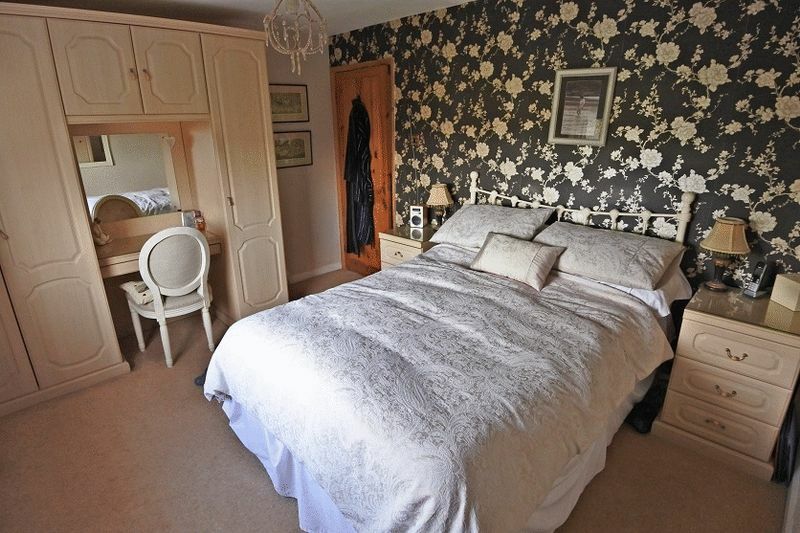 12' 4'' x 10' 4'' (3.76m x 3.15m) Good sized double bedroom, fitted wardrobes, vanity unit, freestanding chest of drawers and bedside cabinets to be included, radiator, T.V. point, uPVC window to the rear of the property overlooking the large garden and local countryside. 13' 2'' x 12' 0'' (4.01m x 3.65m) Good sized double bedroom, large walk in cupboard which offers excellent eave storage, T.V. point, double radiator, uPVC window to the rear of the property. 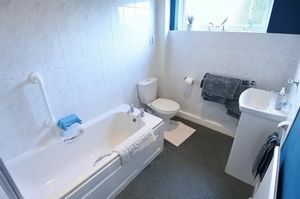 11' 5'' x 11' 4'' (3.48m x 3.45m) Good sized double bedroom, corner wash hand basin, T.V. 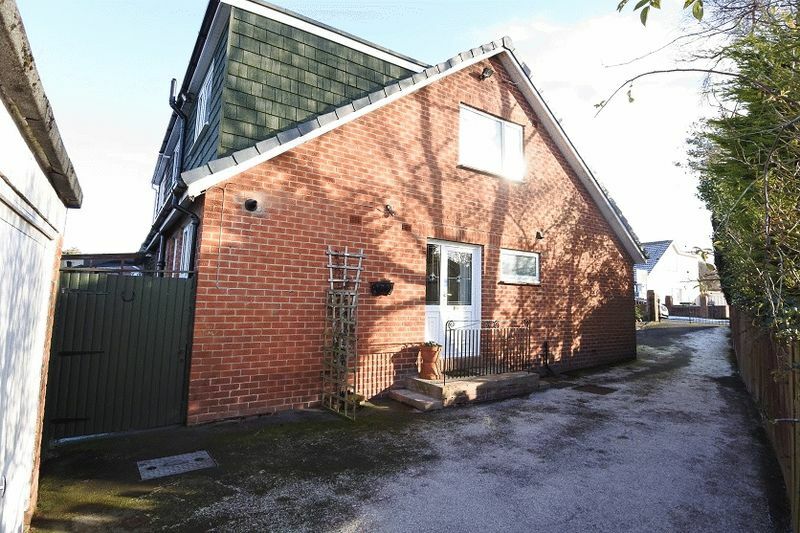 point, radiator, uPVC window to the rear of the property overlooking the garden and local countryside. 12' 7'' x 8' 10'' (3.83m x 2.69m) Large bathroom with a white three piece suite, Triton electric shower over the bath, vanity unit, WC, large built in storage cupboards, laminate wooden flooring, part tiled walls, extractor, radiator, frosted uPVC window to the side of the property. 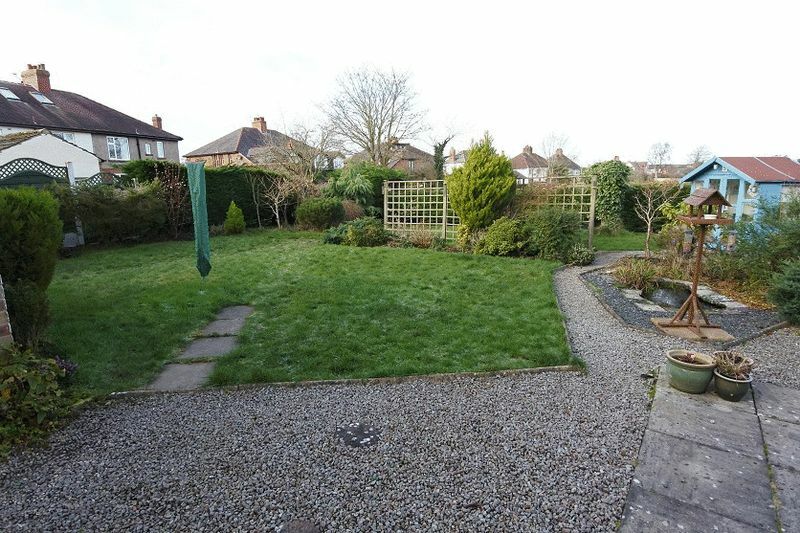 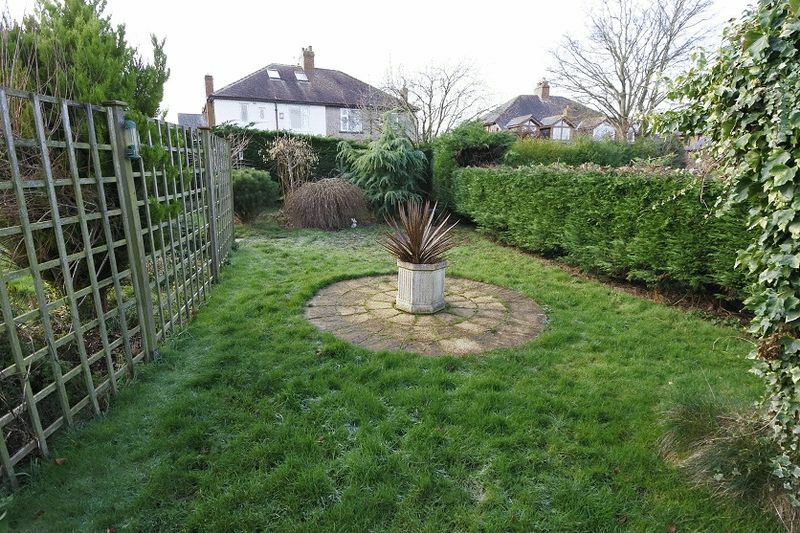 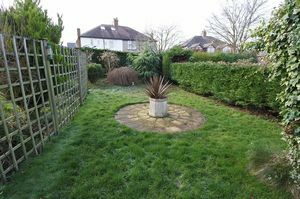 To the front of the property there is a large driveway providing off street parking for up to four cars, leading to a single detached garage, garden shed, low maintenance shillied garden with bordered flower beds. 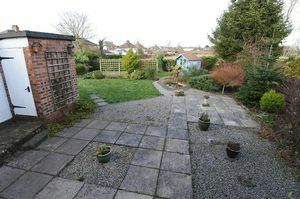 To the rear there is a large landscaped garden which is mainly laid to lawn with a variety of foliage, large shillied and block paved patio areas, summerhouse, outbuilding and pond.